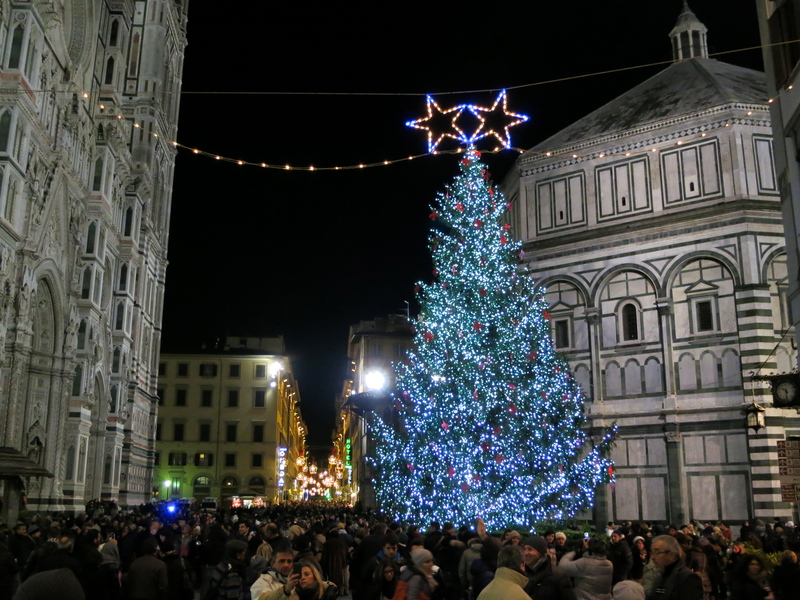 On December 8th the Mayor of Florence, Matteo Renzi, lit up the downtown christmas tree in Piazza del Duomo. The tree sits between the church and the baptistry. 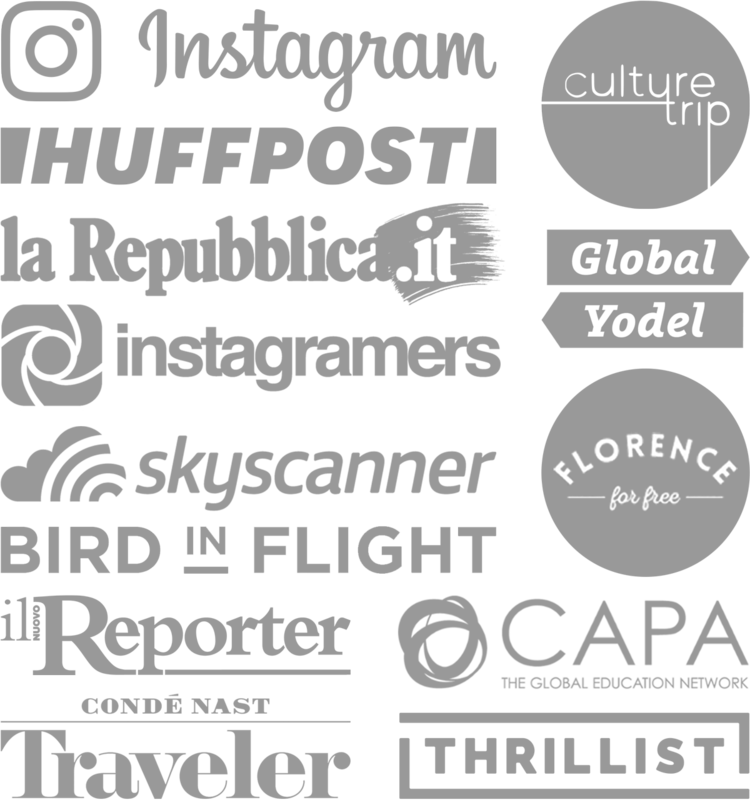 The best way to see it is to walk from Piazza San Marco or Piazza della Signoria to get the full effect—basically, as long as you’re on Via dei Calzaiuoli you’ll be fine. Here are some of my pics from that night. 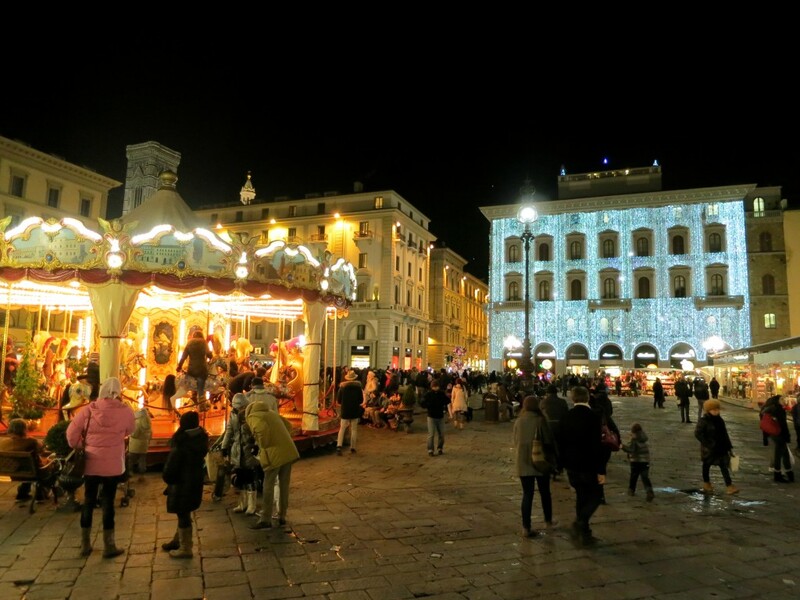 I prefer Piazza della Repubblica thanks to the Christmas market, the carousel and the department store, Rinascente, all lit up. Plus, there’s more room to breathe. 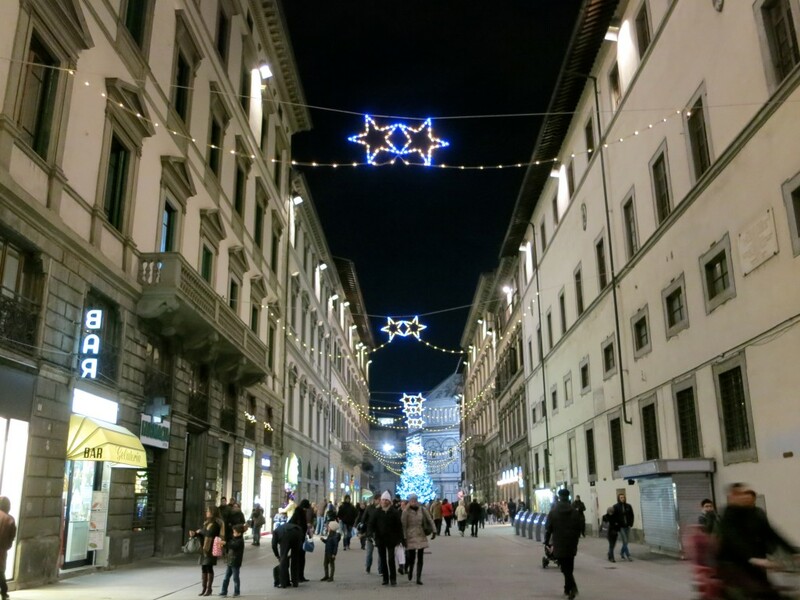 Even though I know Miami will be 80 degrees all Christmas long, there’s nothing like walking around the center of Florence at night. 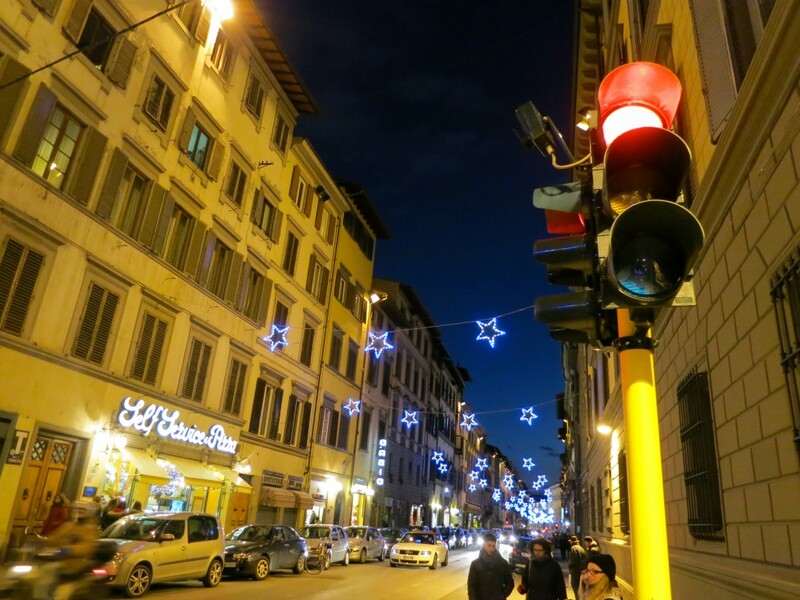 I have neglected the streets of Sant’Ambrogio this month, so I can’t wait to see what lights they have up. 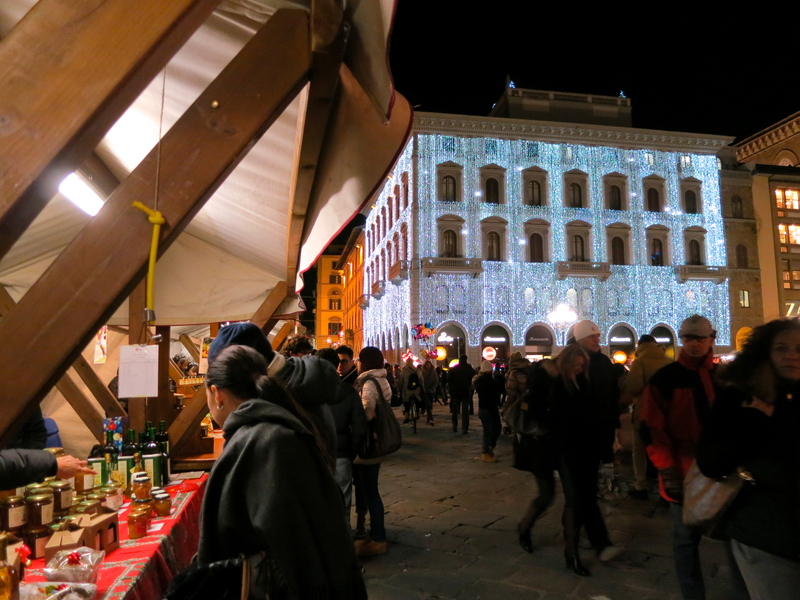 Oh, and don’t forget to check out the German Christmas Market at Piazza Santa Croce until Dec. 16th. 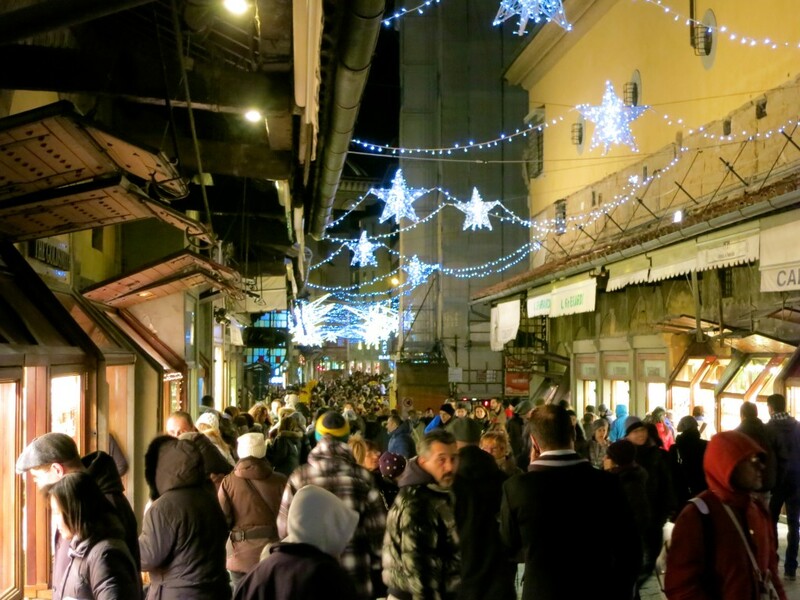 Where’s your favorite place to spend Christmas? Beautiful pics! 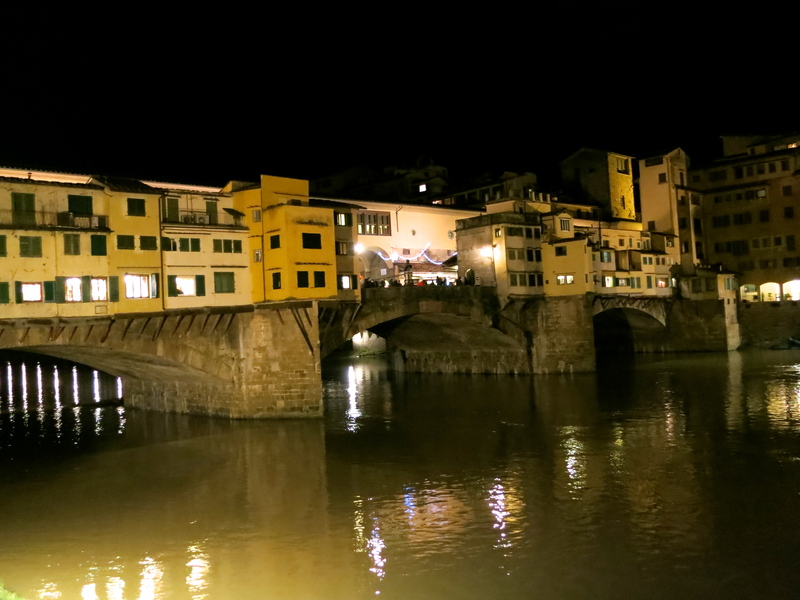 I studied abroad for a summer in Florence and am getting nostalgic looking at all these shots of the center. 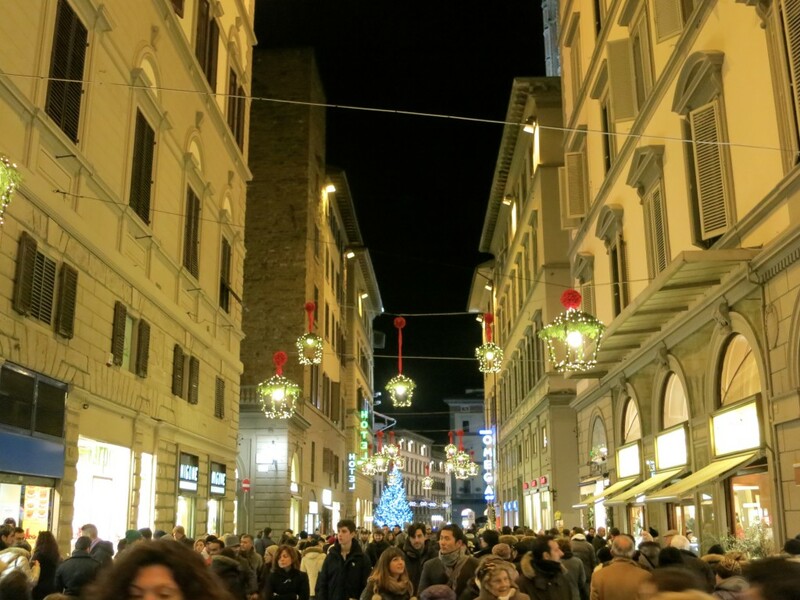 My school was near Piazza della Repubblica and I wish I could stroll the square while it hosted a Christmas market. 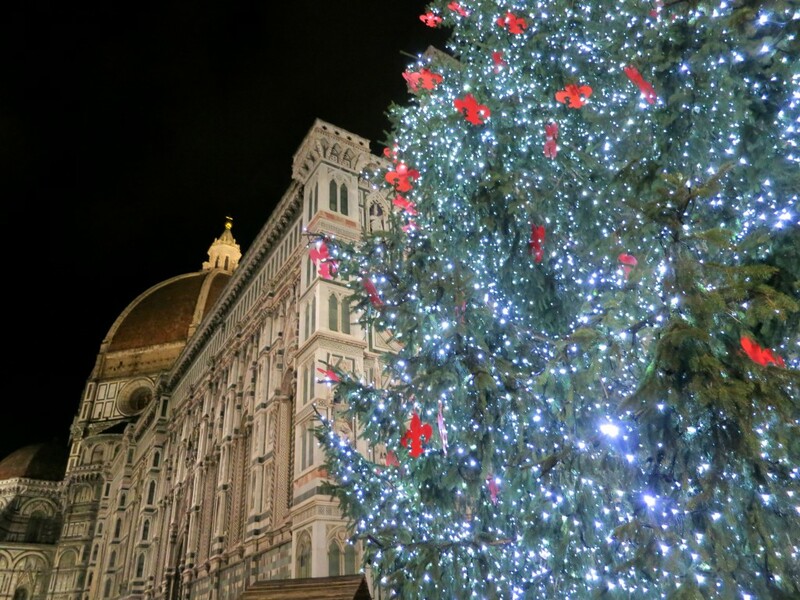 And that Christmas tree–wow! Will you be returning to Florida for the holidays? It’s so much colder now than when you studied here during the summer, but I see your are all over Europe, so the cold must suite you! 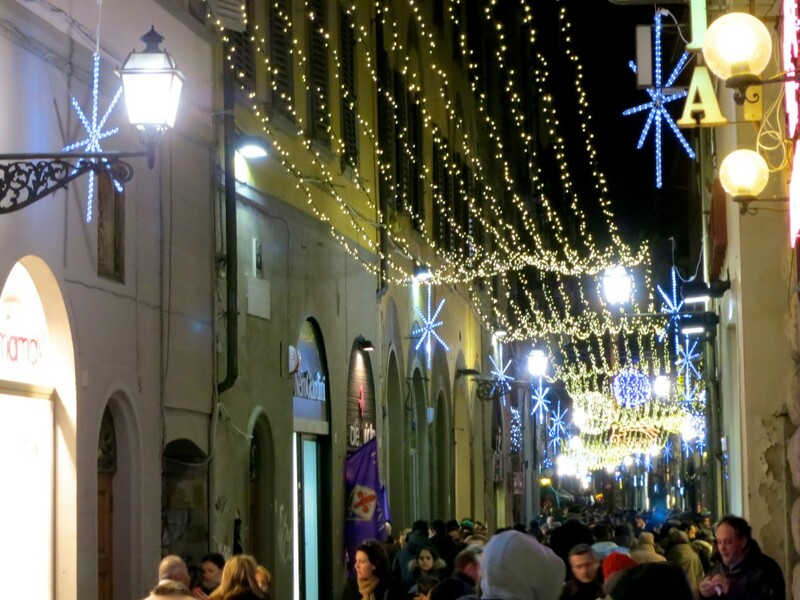 Christmas time is so much fun anywhere, it’s just so great to be here for the whole month and experience it all. I will be here with my husband’s family and then head to the Alps for New Years. What country will you be in? I´ll spend Christmas in Madrid and then my boyfriend and I are heading to Porto, Portugal for New Year´s! Have you ever been? 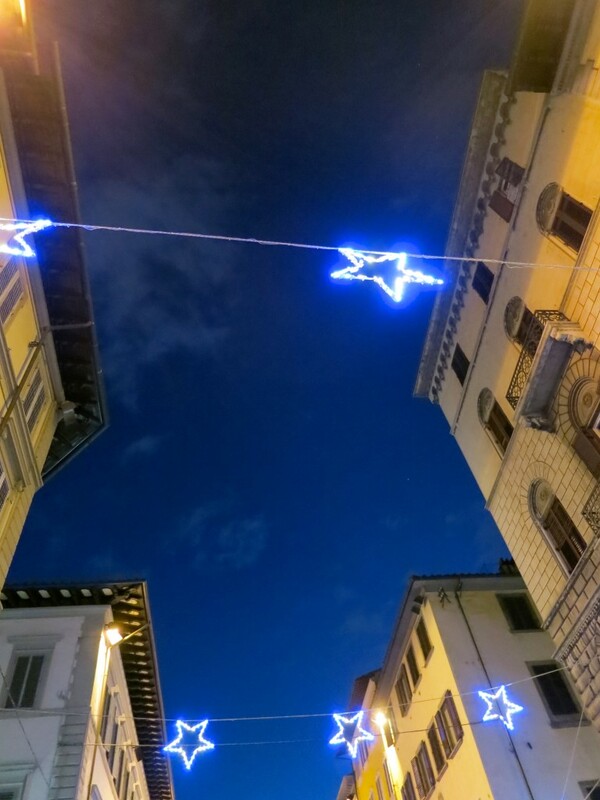 It´s a really romantic place, I can´t wait to see it all lit up for the holidays. Wow, I am dying to go anywhere in Portugal. I’ve been to Spain several times, but still not yet to Barcelona! I have a few spots on my wishlist. 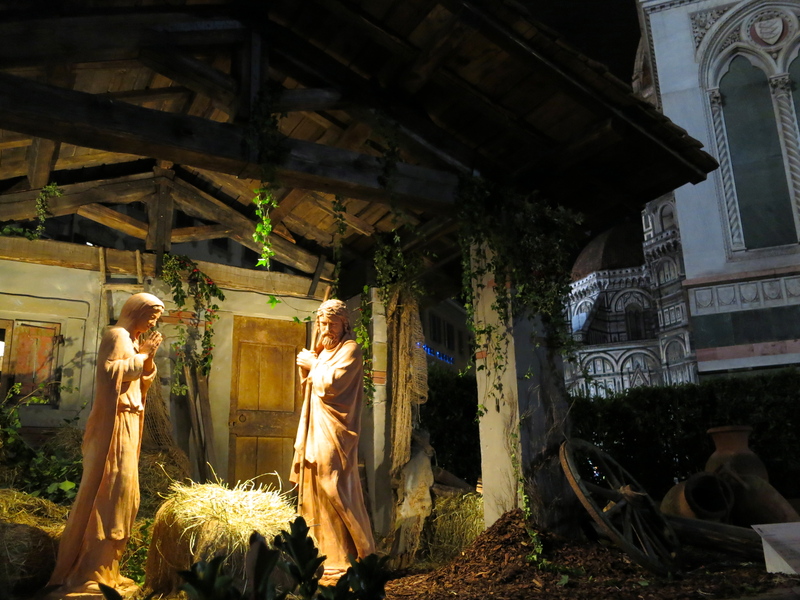 Was there a tree there last year at the Piazza Del Duomo. I don’t remember one being there. Or do they move it around the city year to year? Great question. I was here last November, not during Christmas, but I hear that every year is a bit different and some of the amazing lights that are up were not up last year. Thanks for stopping by Anita. The lights here are insane, they are everywhere!